Do you have a son in Yeshiva? Do you wish you could learn with him, but he is so far and learns so much? 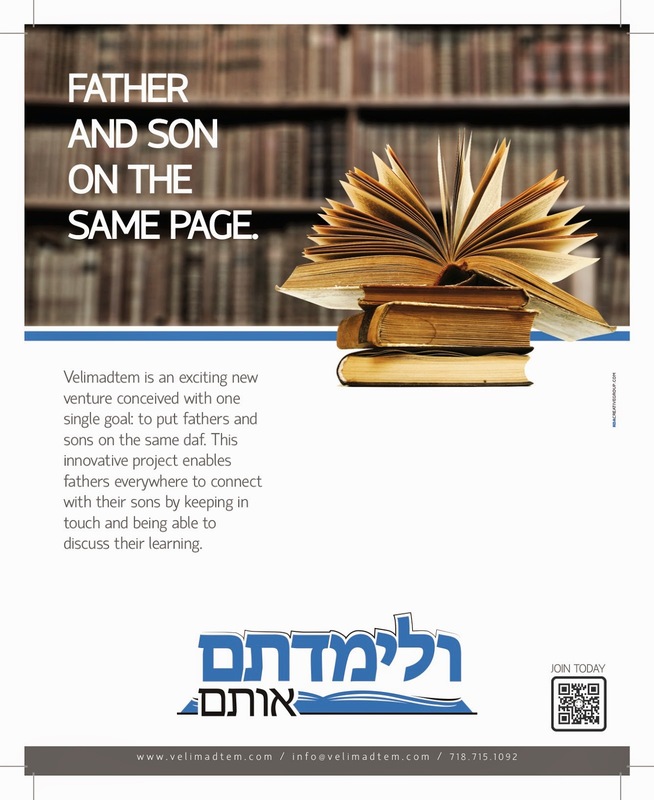 A new project is being launched Yeshivos worldwide, in liaison with the Va’ad Talmidei Hat’mimim, for parents of Mesivta/Yeshiva Gedola age talmidim to enable parents everywhere to keep in touch with their sons' gemora learning. 'Velimadtem' is launching with maseches Gittin, which is currently being studied b’iyun by Lubavitcher yeshivos around the globe. The papers are both in לה"ק and English. Your family always finds inspiration in your actions. When you learn at home, you imbue the environment with a sense of torah and hasmadah. When, after a full day of work, you devote even a little bit of your evening time to learning, they learn to value the importance of לימוד התורה. More importantly, when you express interest and discuss torah with your children, you show them that what they are learning is important to you, too. There is no better way for father and son to interact and grow closer than by koching together in the subjects the son is learning in yeshiva, if only for a few moments on the phone. The cost of this project is the nominal fee of $59 per year. Log on to www.velimadtem.com for a sample weekly paper, and registration. Or email info@velimadtem.com.